For centuries after births, the human placenta was thought of as trash and quickly discarded of without a thought. However, in the past three months scientists have been proving that this organ could be the source of rectifying some of the world's most puzzling pregnancy issues like pre-eclampsia, the fetus running out of room during early development, as well as premature births. The placenta is a group of cells formed mostly from the cells of the fetus. The job of the placenta is to feed, provide oxygen, and to do all of the work for the fetus's major organs until it is developed enough to do so on its own. If the placenta is not formed correctly, it could cause many of serious birth defects, as well as miscarriage and could also risk the mother's health in some ways too. Not all placentas develop in the same way and we know this because males are at a higher risk of a lot of different mental and physical illness (like ADHD or autism). Doctors believe this to be true as well as the fact that male babies are more vulnerable to stress during pregnancy, yet they are not really sure why female babies are less vulnerable to these things than males. They discovered that although the genes affecting the males more highly are thought to be located on the x-chromosome, females have two copies of the chromosome so they are less affected, but in some males, even where it should be affected, the genes are still activated in some places and not in others. Studies have not been done on the differences between males and females yet and the way that their placentas affect their vulnerability to genes, but it is the next question on the list to answer for scientists interested in this study. They also say that the stress put on one's baby during pregnancy are activating genes at higher levels than normal, which is why stress on pregnant women is so dangerous. 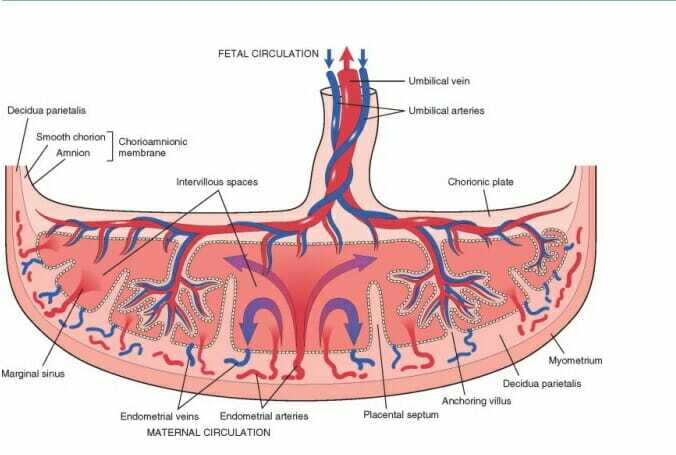 The placenta is a difficult organ to study because after the placenta has been expelled, it is way too late to test on it. Scientists because of this reason have developed a way to create an artificial placenta in the lab in order to study the genes of placentas and how each one may differ from one another. Pre-eclampsia is caused by the mother's arteries being too small to carry oxygen to the fetus and could begin quite early in the pregnancy and is very difficult to detect at the early stages. This oxygen deficiency causes stress to the baby resulting in a higher blood pressure than normal, which is why it is so serious. Currently they are trying to work with the placenta to find a new way to identify this problem in the earlier stages of pregnancy before it causes a bigger problem that could risk the life of the fetus and the mother. It will be a long time before enough testing is done on any of the new procedures that they believe may help identify pre-eclampsia in patients and their babies, but it will be well worth the wait. I thought this was an important article because you hear all the time in the news about all of the different problems that babies face due to stresses as well as other factors during the pregnancy. The fact that the placenta may hold all of these answers is exciting and we may be able to help future generations to not go through pre-eclampsia or have a child whom has developed autism, ADHD, or schizophrenia. I'm excited to see what the next scientist, or group of scientists, will bring to the table.